Bauerfeind's Rhizoloc thumb stabilizer helps restrict painful thumb joint motion caused by osteoarthritis and thumb joint injuries. 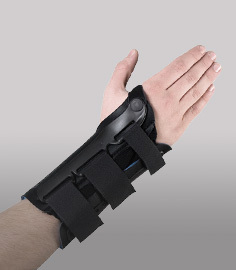 The Bauerfeind RhizoLoc Thumb Stabilizer provides comfort and thumb stabilization for painful thumb movement and overuse syndrome. Made of perforated, breathable material, the Rhizoloc features individually shapeable aluminum stay with strap that ensures maximum stability of the thumb saddle and thumb metacarpophalangeal joint. The breathbale latex free material allows air to circulate so your skin can breath for greater comfort while the shorter length is well suited for activity, text messaging, and night time wear by simply loosening the straps as needed. 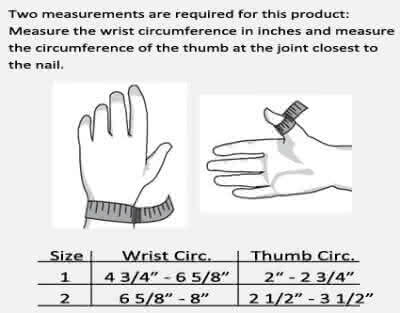 Adjust thumb support to treat injuries including thumb sprains, skiers thumb, gamekeeper's thumb, arthritis, "Technology" Thumb, and Lateral ligament thumb sprains. Wrist motion is allowed and the thumb can still be used for grasping; daily activities can continue uninterrupted. 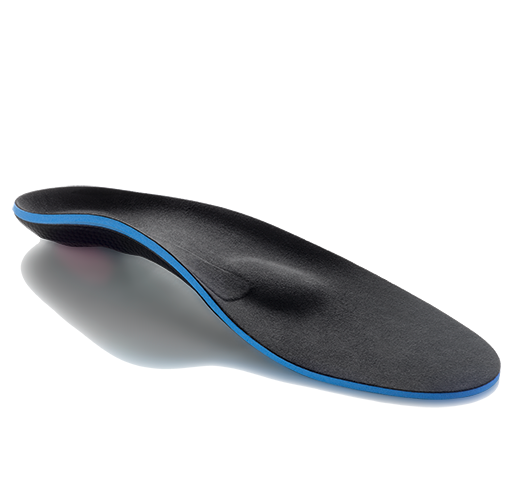 It's perfect for work or during sports to restrict painful thumb joint motion. Built in aluminum stay can be molded individually for maximum thumb support stability. 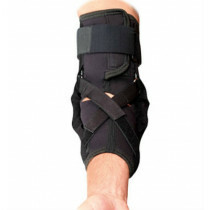 The thumb splint brace material is neoprene-free and perforated to breathe allowing air circulation to keep you cool and dry; This fabric style greatly reduces sweating.  The product can be easily fitted using its velcro fastenings. Right or left hand specific. Sizes: Right Size 1, Left Size 1, Right Size 2, Left Size 2 - See our sizing chart tab above for important sizing information. Skier's Thumb (Lateral ligament lesions of the 1st MCP). Breathable material over a soft spongy core base layer; Latex-free. Just bought two - got a rhizoloc 2l and a rhizoloc 2r - one for the right and left side. After two weeks with these for my thumbs, my doctor was correct in recommending these for the arthritis in my thumb joints. It's definitely more comfortable to wear than my last brace. The Bauerfeind rhizoloc thumb support has almost a velour like inner lining that's supper comfortable. It's much better than the one I bought from EBay. This was cheaper than Amazon's bauerfeind rhizoloc wrist brace. Received my order in one day. Without this my thumb hurts throughout the day. Thanks! Needed more support for my wrist so I returned it. Looks like it would be good for someone wanting less brace for their thumb.